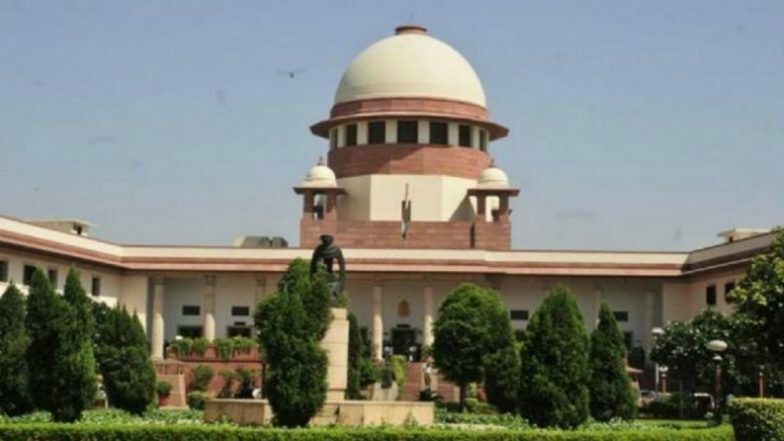 New Delhi, April 12: The Supreme Court on Friday dismissed plea for performing puja at disputed land in Ayodhya on the occasion of Ramanavami. The top court also fined the petitioner Rs 5 lakh for filing the plea. Pulling up the petitioner, the apex court said that peace and communal harmony in the country should not be disturbed. Ayodhya's Ram-Janmabhoomi Babri Masjid land dispute matter is still pending in the Supreme Court. Mediation in Ram Janmabhoomi-Babri Masjid Ayodhya Case: Asaduddin Owaisi, Nirmohi Akhara Oppose Sri Sri Ravi Shankar's Inclusion in SC-Appointed Panel. Till now fourteen appeals have been filed in the apex court against the 2010 Allahabad High Court judgment, delivered in four civil suits, that the 2.77-acre land in Ayodhya be partitioned equally among the three parties -- the Sunni Waqf Board, the Nirmohi Akhara and Ram Lalla. The five-judge bench was re-constituted on January 25 as Justice U U Lalit, who was a member of the original bench, had recused himself from hearing the matter. Holi 2019: Ayodhya Case Litigants Mohammad Iqbal Ansari, Mahant Dharamdas Play Holi in Temple Town. When the new bench was constituted, Justice N V Ramana was excluded from the re-constitution bench. Justices Bhushan and Nazeer made a come back to hear the Ayodhya land dispute matter -- both were part of an earlier bench headed by then CJI Dipak Misra (now retired). It had on September 27, 2018, refused to refer to a five-judge Constitution Bench the reconsideration of the observation in its 1994 judgment that a mosque was not integral to Islam.